Here comes the big news. 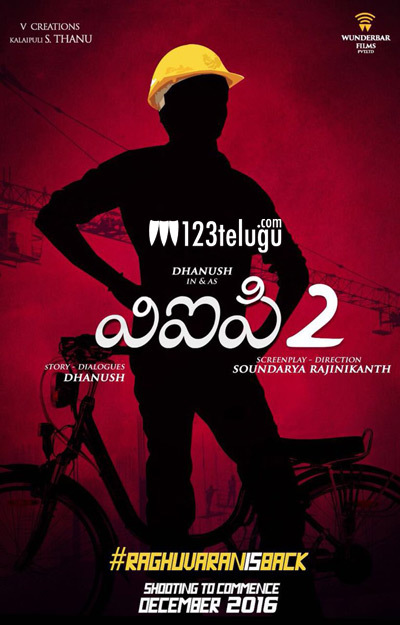 National award winning Tamil actor Dhanush is all set to make his foray into Tollywood. This morning, Dhanush took to his Twitter profile and surprised his fans with this unexpected announcement. Dhanush tweeted, “#D33 bless us @soundaryaarajni @theVcreations @RSeanRoldan @anirudhofficial #bilingual Tamil and Telugu. This film is going to be a sequel to Dhanush’s super hit film, Raghuvaran BTech. As Dhanush mentioned, this film will be directed by his sister-in-law Soundaryaa Rajinikanth and produced by Kalaipuli S Thanu. The film’s regular shooting will kick-start in December.